Hello Derry smiles! Do you have a missing tooth that is detracting from your otherwise beautiful teeth? Let Vanguard Dental Group fill the gap for you and help you get your brilliant smile back! A dental bridge could be the perfect answer for your missing tooth and help you chew and speak properly. A bridge incorporates two or more crowns on either side of the gap created by your missing tooth. These two anchoring teeth permit a false tooth to be held in place where the missing tooth should be. The false tooth that is placed in the gap is called a pontic. Bridges can contain one or more pontics. A pontic can be matched to the surrounding teeth if you decide on a porcelain material. If you’d like, a pontic can also be constructed using gold or an alloy. Drs. Rothenberg and Moskowitz will work closely with you to be sure that your bridge has an exact fit. Then one of our adept hygienists will show you how to clean under and around the bridge to ensure that no dental caries ensues in the nooks and crannies. Drs. Rothenberg and Moskowitz has been successfully restoring smiles since 1999. 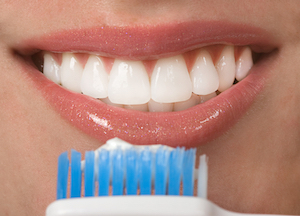 Thousands of patients have trusted Vanguard Dental Group with their dental health. Come see us at Vanguard Dental Group and you can bridge the gap and love your smile again!